Despite being oft overlooked in the face of more attention-grabbing visuals, audio is an essential component to creating presence in VR. In a quest to create increasingly lifelike audio in VR environments, Oculus has pushed out an update to its Audio SDK recently that provides developers with the ability to create more realistic audio by generating real-time reverb and occlusion based on the app’s geometry. Now in beta, the so called ‘Audio Propagation’ tool comes in the Oculus Audio SDK 1.34 update which produces more accurate audio propagation with “minimal set up,” the company says in a developer blogpost. The Audio Propagation tool generates reverb from game geometry, so to change how a scene sounds developers simply need to tag the applicable meshes in the scene and select an acoustic material for each mesh; that includes things like plaster on brick, ceramic tile, and carpet to name a few. The update also comes with reverb models for several types of spaces, including indoor, outdoor, and asymmetrical spaces, setting it apart from conventional reverb solutions. 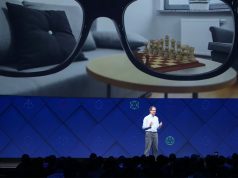 Facebook Reality Labs previously teased some of this in their OC5 developer talk entitled ‘Spatial Audio for Oculus Quest and Beyond’. The video goes on to explain that state of the art ‘AAA’ games tend to implement a work-intensive process of adding independent reverb presets for each room in a scene and then fading between them as the user moves from one room to another—hardly how sound travels in the physical world. Some developers implement a portal system to handle occlusion problems as well. Oculus’ solution is real-time, and not prebaked, it’s touted for being quicker for developers to produce, allowing dynamic geometry like a door to be open or closed and still provide correctly reverberated audio. Valve’s Steam Audio Plugin provides both baked and real-time options, however the company says in the lengthy Unity set-up guide that it “incurs a CPU overhead.” Just how much overhead Oculus’ solution takes, we aren’t sure at this time. This isn’t Oculus’ first go at more realistic audio. Previously, the Audio SDK included something the company calls ‘the shoebox model’, which essentially created a standard-sized cube around you that direct sounds would then bounce off of. Oculus provides Audio Propagation guides for both Unity and the Unreal. While we haven’t experienced the results for ourselves yet, we’re hoping the company’s stalwart support of real-time, geometry-based audio propagation will become a standard in the VR games and apps yet to come. Good stuff. Audio is such an important part of the entertainment experience, in movies, animations and even VR. In fact, I can often enjoy an entire movie just by listening to what’s happening while doing whatever other task, but the same isn’t true when I watch a movie with the sound turned off entirely. And the same applies when I’m watching a horror movie too: Even when I cover my eyes it can still be pretty terrifying. But if I turn off the sound completely I’m usually fine watching the stuff onscreen. That’s how vital audio can be in really immersing you in the experience, which I think a lot of people underestimate. And once again we have to reinvent the wheel because PC audio is forever stuck in 1996. This is something that should’ve been a standard hardware-accelerated feature back in 2005. Yep. Sometimes I think that sound cards should have followed a similar path to graphics cards, with especialized hardware rendering audio in 3D in real time. But, no, and now they are almost extinct. They were. Then Creative bought Aureal, then onboard sound stopped being something people mocked and became something they used. Also, the rise of the graphics accelerator likely hastened it. If you can spend on better pictures OR better sound… one is a lot easier to sell with screenshots. This is very exciting – spatial audio is critical in creating immersion. 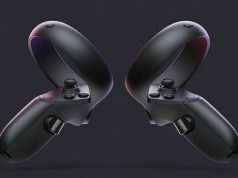 Don’t guess there’s any chance of finding someone to write a detailed comparison article comparing the Oculus, Steam and HTC Vive Audio SDKs’ features, usability and performance? Good, Audio should not be under-estimated for proper VR.